A few readers have asked me about the picture that I use as the banner for my blog. 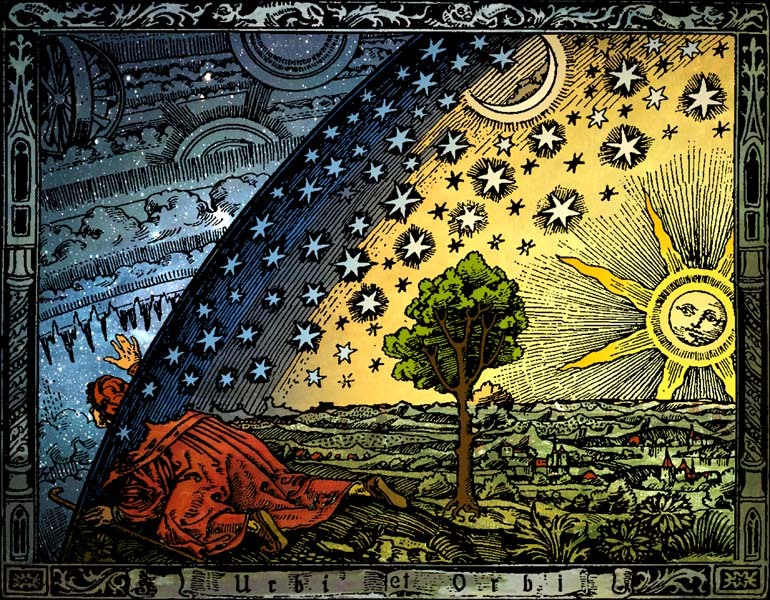 The Flammarion engraving has quite an interesting history, and it has long been one of my favourite pictures. I used to have a copy of it on the wall above my desk. When it came to choosing a banner for my website, it was the obvious choice. The image depicts a missionary breaking through the firmament and gazing upon a mechanised version of the Universe. The image is a wood engraving that first appeared in Camille Flammarion’s 1888 novel L’atmosphère: météorologie populaire (The Atmosphere: Popular Meteorology). The artist is unknown, but there is a possibility that Flammarion himself may have created the image, as he had once been apprenticed to an engraver in Paris. There was some confusion surrounding the origins of the engraving, with many scholars claiming that it was created during medieval times. Yet Flammarion never attributed the engraving to the medieval period. The decorative border surrounding the original image is distinctly more modern (and typical of the late nineteenth century) – it was only when the image was cropped and the border removed that scholars began to become confused about its origins. Further research concluded that it had been carved with a burin, a tool used for wood engraving since the late eighteenth century. 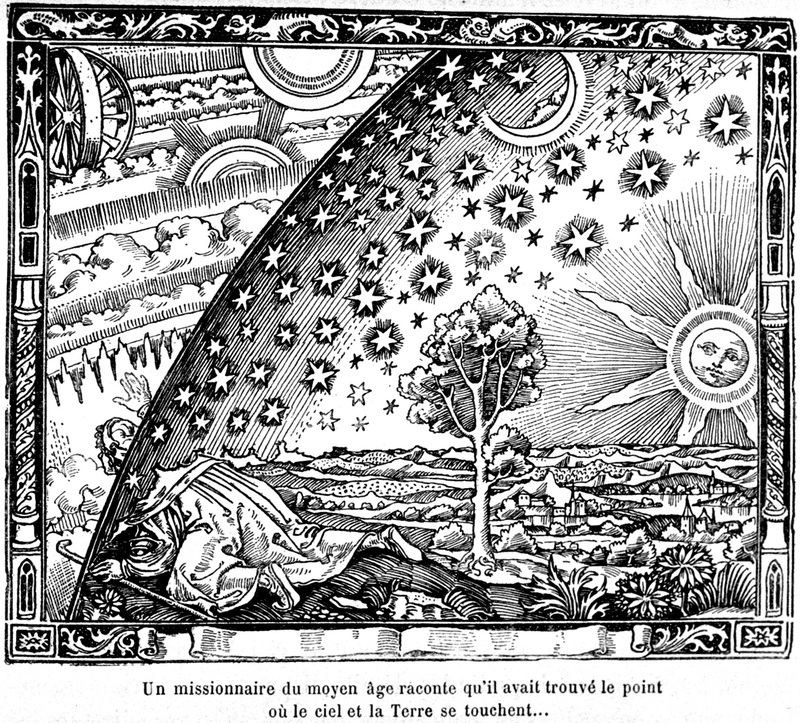 So it is likely that Flammarion created the image specifically for his book. The image is often erroneously referred to as the Flammarion woodcut, but it is now properly known as the Flammarion engraving. 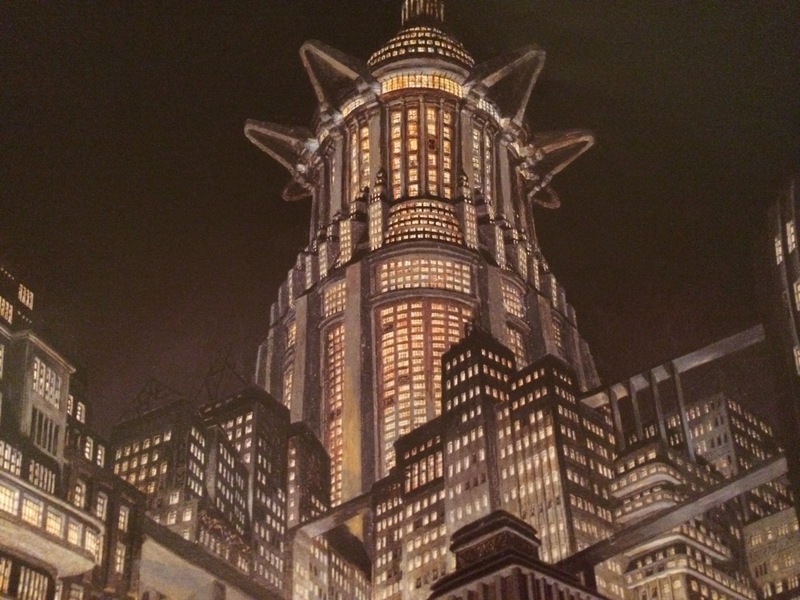 The image has since been used in a variety of different media, including book covers. It is most often used to represent the Scientific Revolution, when astronomers such as Kepler and Galileo rejected Aristotelian cosmology and turned to natural philosophy for their interpretations of the world. The thought of a missionary peeling back the firmament and uncovering a cosmos governed by Newton’s mechanistic worldview is the perfect metaphor for the Revolution. It captures a society undergoing radical change, as older astronomical traditions are overthrown and new theories spring to life. Stars are revealed to be clockwork creations, governed by natural forces. You can feel the gears of history grinding away – paradigms are changing; our understanding of the Universe is evolving. Most recently, the image was adapted into an animation for the opening episode of Neil deGrasse Tyson’s Cosmos series. On a personal level, the engraving has numerous meanings for me. As a student of history, I’ve always been fascinated by the Scientific Revolution. But it also reminds me of the fundamental difference between scientific and religious worldviews, with science explaining the truth behind our reality. It encourages me to always seek the truth, to challenge what is accepted as reality. I am inspired by this image – I can feel the weight of history whenever I see it.